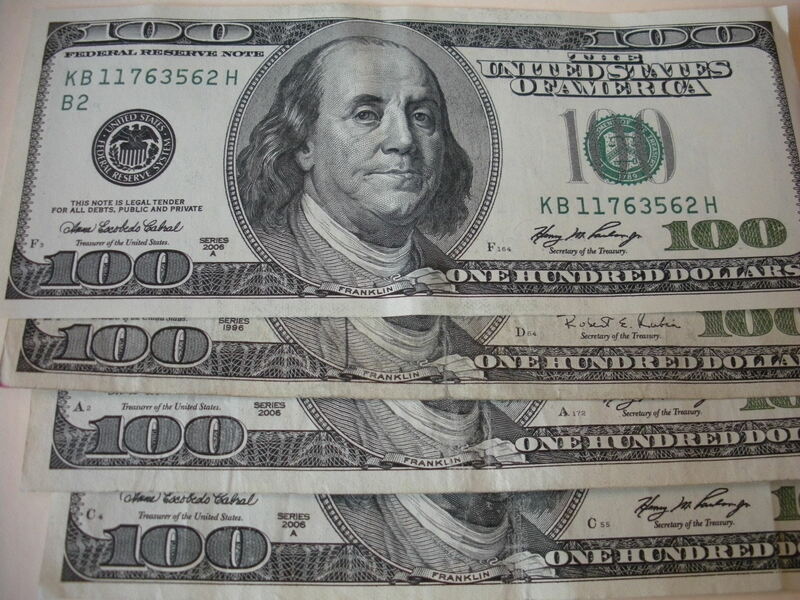 Post-Election Re-Post: The Best Government Money Can Buy? Follow the Money! The Best Government Money Can Buy? Follow the Money! For a very long time now, I have asked myself, “What is the biggest threat to the United States of America and our way of life?” From the beginning the answer seemed very clear, at least to my way of thinking, and the answer remains the same throughout the years that have passed since I first posed the question. We already have the best government that money can buy, and the situation grows worse, particularly in Washington. Take the U.S. tax code, for instance – please! We are reminded every April how ridiculously complex it is, yet it should not be. Why not simplify it then? It will never happen under current conditions, because moneyed interests will always be on the backs of legislative committees to insure loopholes and myriad exemptions favorable to their particular business or interest. It is precisely the ongoing tinkering – no, make that meddling – by influence-peddlers acting through Congress which results in a ridiculously complex tax code. 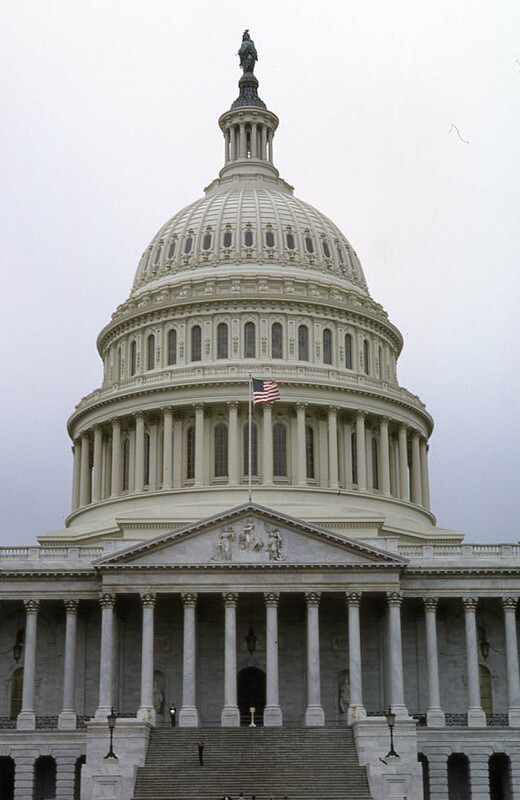 In fact, many of the bills which emerge from Congress are unduly long and unwieldy for precisely the same reason. Why are so many corporations “incorporated” in obscure places like the Cayman Islands even though their businesses operate primarily within the U.S., Europe and Asia? Follow the money – a more favorable tax base, of course. Have you been hearing about the huge pension-obligation problems in bankrupt Detroit, in Stockton, California, and in many small communities across the country? We see only the tip of the iceberg on this one. The culprits: Labor unions and the politicians friendly to labor’s often excessive demands regarding benefits for their rank and file. Unions clearly have political and financial clout in political campaigns, and that is not without its long-term financial consequences – as we now understand. And then there are those political incumbents facing no imminent election challenges who just do not wish to deal with labor unrest during their tenure, so they readily cave to excessive union demands, “kicking the can down the road” and into the next person’s term of office. And the beat goes on. Nature has endowed humans not only with certain inalienable rights, but also with certain biological “defense mechanisms” – one of which is the tendency to put problems away for another day as long as a crisis is not imminent. This helps prevent ulcers, I suppose! We Americans it seems, have been “kicking the can down the road” for some time, now, while lobbyists have increasingly diverted governments, especially our Congress, away from truly representing “the people.” Politicians are too often focused on satisfying the wealthy and powerful who grant numerous “legal” favors to them and their office. And, by the way, did you know that currently something like 42% of legislators who leave Congress become paid lobbyists in Washington? I wonder why they do that? Again, follow the money! I believe that percentage was less than 12% just a few decades ago. Why did the Roman Empire collapse after centuries of world dominance? The experts tell us that corruption and public complacency were the primary causes. Does anything ever really change? At what point do laws which clearly benefit the wealthy and powerful to the detriment of the common citizen and the overall good of the country become recognized as symbols and agents of corruption? I believe “bribery” is another way of expressing the current situation. I recall many, many years ago, the moving, talking automaton (robot) of Lincoln at Anaheim’s Disneyland. At that time, such computer-controlled realism was quite a new thing. The convincing figure of Lincoln recited a number of his prescient thoughts and memorable utterances. I recall vividly the central idea that struck me the most, but I must paraphrase very liberally here: “This country, with all its resources and potential, will never be conquered by outside forces. Rather, it has more to fear from decay and forces within, than from foreign foes.” Amen. Few people have left so indelible a mark on the United States of America as did Ulysses S. Grant. Like George Washington, Grant led the people of this land both in time of war and, subsequently, as president of the country. His two presidential terms (1869-1877) were marred by widespread charges of corruption within his administrations. In stark contrast to his record as president, Grant’s accomplishments as Lieutenant General and leader of the Army of the Potomac in the U.S. Civil War (1861-1865) assured his fame. 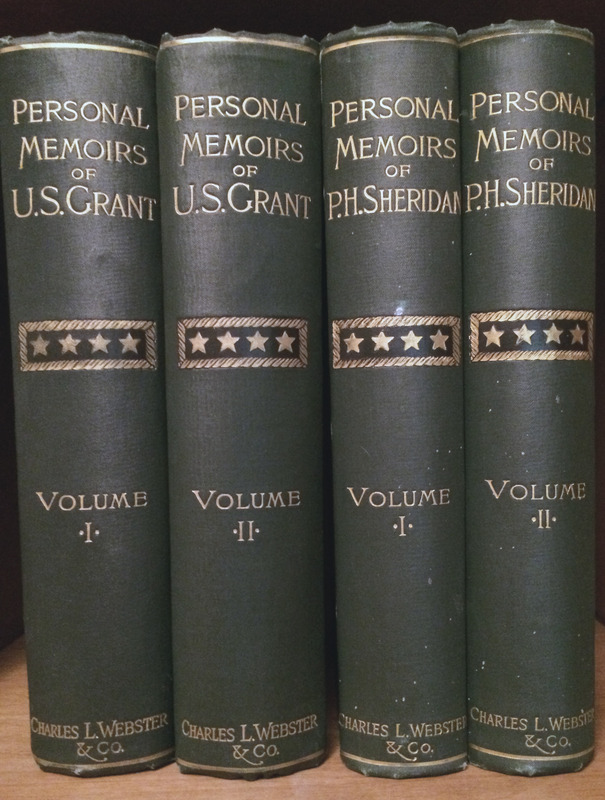 Grant’s personal memoirs, published in 1885 by Mark Twain and his publishing company, Charles L. Webster & Co., tell the story of his later military career while revealing the qualities as military commander which so endeared him to Lincoln. Anyone who has seen Steven Spielberg’s movie, “Lincoln,” will appreciate the extent to which Lincoln not only intently followed the detailed progress of the war, but also personally “steered” its conduct during the long leadership vacuum prior to Grant’s arrival as commanding general. Lincoln would often don his shawl and amble out of the White House into the cold darkness of late night, headed for the nearby army telegraph office to monitor the latest news from the front. With Grant firmly in command, Lincoln was finally able to see hope for the outcome of the war and the union cause. 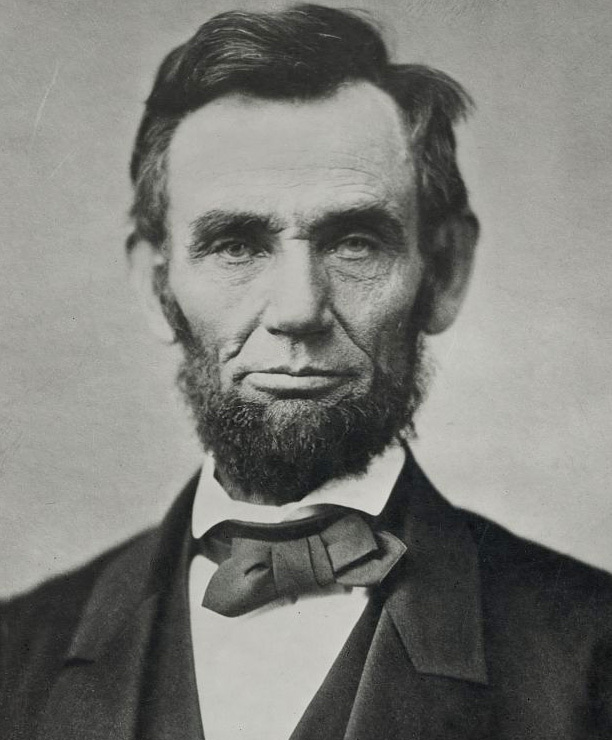 The Gettysburg address of 1863 spotlights Lincoln’s masterful talent for brevity and directness in his communications. Grant was that way, as well, as evidenced by his memoirs. None of the flowery prose, so prevalent at the time, is found, within. Instead, one finds tautly written, detailed accounts of what happened during Grant’s participation in the Mexican-American War of 1846 and the momentous battles of the U.S. Civil War – the costliest, bloodiest war in our nation’s history. 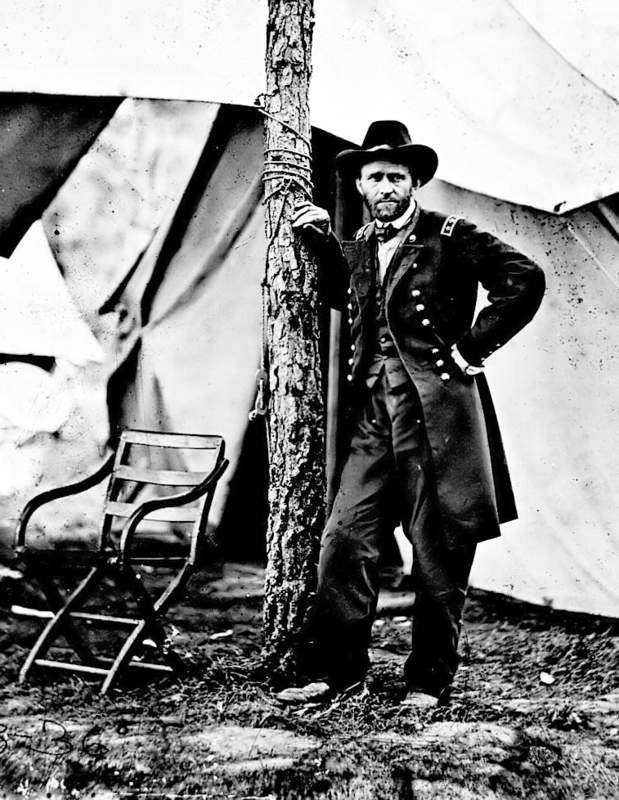 Despite his ultimate success as Commanding General of the Union Army, Grant had some terrible moments. Indeed, seven thousand union soldiers were killed in one hour on June 3, 1864, during the frontal assault on Lee’s fortified positions. The soldiers, viewing the entrenched enemy they were about to storm and recognizing their dim prospects, wrote their names on slips of paper and pinned them to their uniforms. And press it, Grant and Sheridan did. Lee surrendered his confederate army two days later, on April 9. Here is a letter, hand-written and signed by General Grant on “Headquarters Armies of the United States” stationery just three weeks before Lee’s surrender. It is marked “Cipher” (meaning to be sent by telegraph) and addressed to Lincoln’s Secretary of War, E.M. Stanton, in Washington. 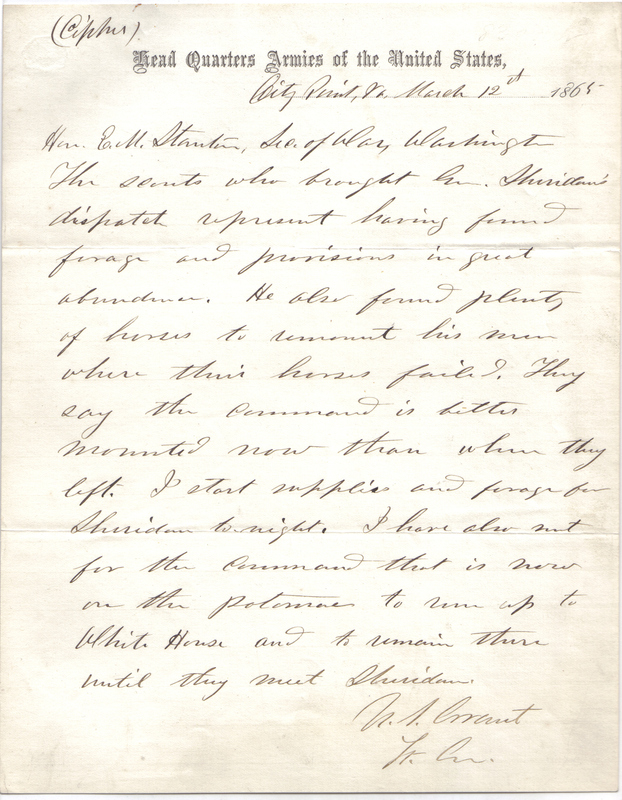 In it, Grant reports to the War Department on the condition of Sheridan’s mounted command as they chase Lee and his army to the final encounter at Appomattox. It is an important “war letter,” one with the latent power to transport its reader back to the dramatic, closing days of our nation’s worst war. A typewritten transcript follows. I purchased this letter many years ago from a well-known dealer in such manuscripts, or “autographs,” at a time when I was gainfully employed and the value/price of significant documents such as this was much lower than on today’s collecting market. Here is a legible transcript of the above letter. Note that the “White House” reference is a location along the James River, not the presidential residence. 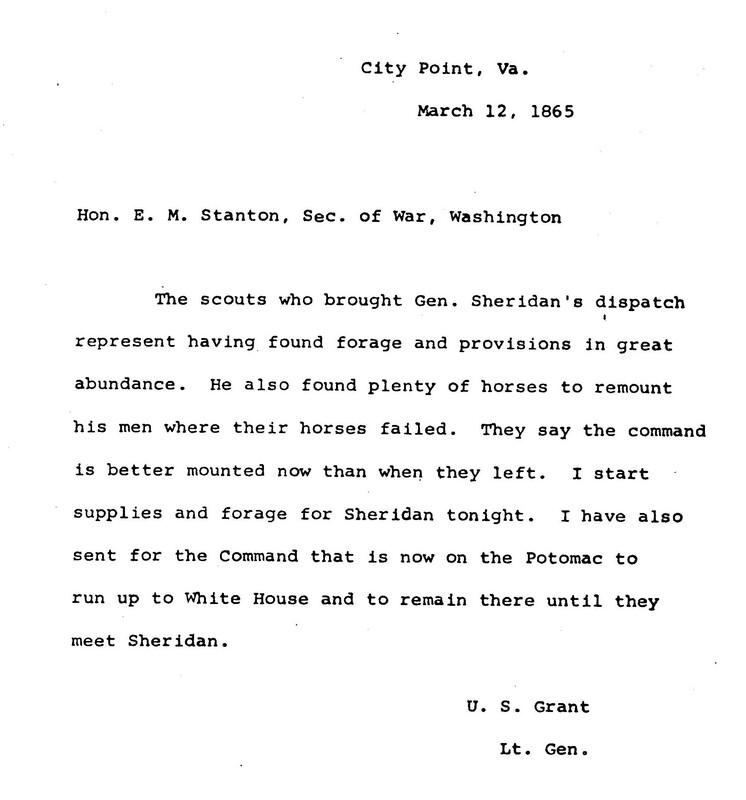 It is fascinating to find direct reference in Grant’s memoirs to the incident and “the scouts” which brought news of Sheridan’s location and condition to Grant – as detailed in Grant’s letter on the 12th of March. It is quite clear that General Grant had my letter of his in hand as he wrote his memoirs in 1884/85. The details of the letter are clearly set forth in that section. The very fine condition of the letter itself (written for cipher transmission to Stanton) supports the contention that the letter, along with many others, was carefully filed away for years after the war. The quality of Grant’s recollections reflects the likelihood that he had a large cache of important documents at his disposal. In General Sheridan’s 1888 personal memoirs, also published in identical format by Mark Twain’s company, Charles L.Webster & Co., Sheridan highlights the incident, as well and stresses its importance. This is history as it is meant to be learned and experienced. Could we not find a way to incorporate such an approach to teaching U.S. history in the schools? Youngsters would enthusiastically embrace learning our history if we could! Grant and his wife Julia embarked on an extended around-the-world adventure after leaving office at the end of his second presidential term, in 1877. The trip was costly, requiring Grant to start an investment business with his son, Ulysses S. Grant, Jr. and a young partner named Ferdinand Ward. 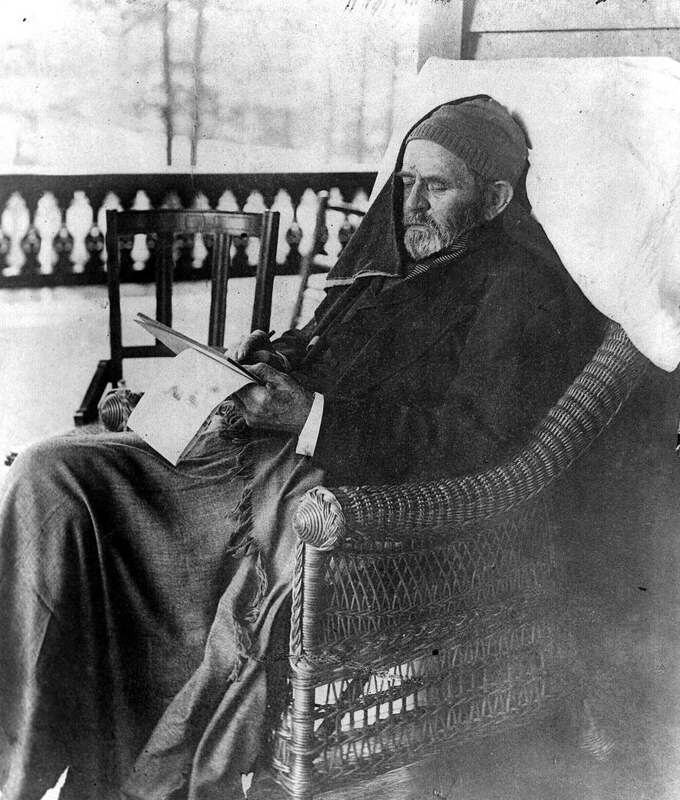 Grant essentially did little more than lend his famous name to the new enterprise called “Grant and Ward,” and he remained distant from business details, often signing papers without reading them. By 1884, Grant found himself penniless thanks to the shady business practices of his partner and his own detached attitude. Grant and Ward had failed in May of 1884, and Grant found himself headed for financial ruin. That fall, Grant was diagnosed with throat cancer, a fatal diagnosis in those days. Likely, the years of cigar smoking coupled with his affection for whiskey took their toll. Under the most adverse conditions imaginable, Grant heroically embarked on a plan in the fall of 1884 to provide for his wife and family after he was gone. His friend, Mark Twain was to publish the general’s wartime memoirs in return for a handsome royalty for Grant’s family. Grant worked feverishly and heroically on this project under the most severe deadline of all, his soon-to-come death. He was assisted by a former aide on his staff, Adam Badeau, who helped with many of the tasks required to organize and research materials. Friends and even former battlefield foes stopped by to pay their respects as he raced the calendar. Now confined to his wicker chair and writing up to fifty pages a day despite constant pain and discomfort, Grant finished his memoirs on July 18, 1885. Five days later, he was gone. He had won his final battle. Grant’s memoirs were a smash sales success for both Mark Twain’s company and for Grant’s wife and family. Within a few short years, the threat of poverty had been swept aside in light of the reportedly $450,000 of royalty payments his heroic efforts had generated for Julia and the children. Historians with a literary bent have long lauded Grant’s personal memoirs as perhaps the finest major military account ever written – not only for its candor and its thorough revelations, but for its literary merit, as well. That is indeed high praise for the former rough, unassuming young West Point cadet, class of 1843, who ranked an undistinguished 21 out of 39 in his class. A point of interest and comparison: Grant’s ultimate foe in the battle between North and South was the regal and supremely competent Robert E. Lee, West Point class of 1829. Young Lee graduated second in his class and accumulated one of the finest records seen at West Point since its inception in 1802. Besides excelling in all academic subjects, he received not one conduct demerit throughout his four years at the Point, a feat rarely duplicated. One who also received no demerits was George Mason, Lee’s extraordinary classmate who just edged out Lee academically for top spot in the class of 1829. I have a special fondness for my copy of the Personal Memoirs of U.S. Grant. When I reflect upon the grand events of Grant’s life, it strikes me that the most heroic thing he ever did occurred not on any battlefield, but in that wicker chair as he bravely battled those most formidable of foes, the onslaught of father time and our ultimate mortality. One added postscript: Grant’s friend and benefactor, Mark Twain, was at the peak of his powers after successfully publishing Grant’s memoirs in 1885. Within five years, he, like Grant, would be in danger of losing it all – even his beloved Hartford, Connecticut home – because of foolish investments and bad business decisions. The recent website disaster of the Affordable Care Act (ACA) resonates with those of us who come from engineering backgrounds. Engineers appreciate and quickly learn to anticipate what can go wrong…in any situation. I like to think of it as the “engineering mentality.” The recent ACA website problems seem to validate the scarcity of that mentality in Washington. I wish to state up-front that my comments, here, have nothing to do with the inherent merits (or not) of the legislation itself or the politics that surround it. I am interested specifically in what went wrong with its website implementation – not from a software developer’s technical point of view, but from a program management standpoint. What went wrong is abundantly clear: No specific person was designated to coordinate the effort who possessed the necessary independent authority and the technical competence to make the correct and necessary decisions. The task clearly required someone’s full-time attention to the effort because of its scale and importance. Furthermore, the Washington bureaucracy involved in the project failed to sufficiently monitor those upon whom they depended – specifically, the three or four major contractors. Management and tracking of the website’s progress, even by the Washington folks with a huge vested interest like Health and Human Services (HHS) and the president himself, seems anemic at best. It appears they thought since the project is being handled by a “bunch of professionals,” everything will turn out to be just fine. A “bunch of professionals” is a useless entity for assuring true accountability and effective program coordination. Let us look back at that program, its management, and its accountability/visibility. As I pondered the stinging review of the website fiasco in Peggy Noonan’s Wall Street Journal column this past week, the focus of my mind’s eye settled on two individuals who were critical to the Manhattan Project and its successful development of the atomic bomb – a really difficult challenge. Those two individuals were the catalyst which made the technical effort at Los Alamos, New Mexico, the success that it was. The project mandate and schedule were of a scale and complexity never before attempted. The original charter behind the Manhattan Project was to save the world from a potentially nuclear Germany during World War 2 by developing a weapon first. Albert Einstein, pacifist though he was, nevertheless signed that famous letter to Franklin Roosevelt in 1939 which hinted at the possibility that Germany might attempt to develop a nuclear device; his signature on the drafted letter reflected Einstein’s concern about Hitler and served to raise Washington’s awareness of the potential problem. Other than his purely scientific role in 1905 in formulating the basis of nuclear energy, the famous equation e = mc2, Einstein had no further role in nuclear weapons development. The day before Pearl Harbor, Roosevelt approved the Manhattan Project. The government’s point-man in-charge was one Leslie Groves, a general from the Army Corps of Engineers. History proved him a fortuitous choice in many ways. His most important and telling decision was one of his first, the appointment of a brilliant Berkeley physics professor to be the technical point-man for the entire scientific/engineering effort – reporting directly to Groves. His name: Robert Oppenheimer, a certified liberal whose close circle included ties to the communist party – not exactly the choice a top-secret program would espouse during an era when the motives of Russia as an ally were highly suspect. Despite protests from those in charge of government security, Groves had a hunch about Oppenheimer and pushed through the appointment – a most improbable one at the time. Oppenheimer knew physics, no doubt, but he had no management experience. Program management ability and brilliance in nuclear physics are not common bed-fellows, to be sure, but Groves had the management foresight and the people-skills necessary to recognize that Oppenheimer was not to be so easily pigeon-holed by conventional wisdom. the Success of a Major Program? The Answer is Yes. Quite likely, there has never been anyone so “in the right place at the right time” as Robert Oppenheimer. Imagine being put in charge of a huge, all-out scientific program with dire national security implications. Imagine having to start from scratch by recruiting numerous Nobel Laureates in Physics and Chemistry and relocating them and their families from idyllic college campuses across the United States (and abroad) to the empty high-desert of Los Alamos, New Mexico. Imagine trying to make a practical “gadget” (as the bomb was called) which depended upon scientific findings only discovered within the previous few years. Imagine the immense pressure of staying ahead of often ego-centric Nobel Laureates and earning their respect while coordinating their efforts over several major technical disciplines. Finally, imagine the pressure of possibly failing – producing a “dud” or perhaps nothing at all while ever-mindful that Germany might get there first and threaten world-dominance. In the end, Germany did not succeed, and the very first and only test shot of the “gadget” in July of 1945 was a complete success. Japan would experience first-hand the next two detonations, unfortunately. Whatever one’s feelings are about the use of these weapons, they did abruptly end the war while illustrating that mankind should never again use them. The program to develop the bomb was an undeniable management success, and that is the central point to be made, here. The other pertinent point is this: Many who were at Los Alamos subsequently said after the war that the whole endeavor could not have happened without Oppenheimer at the helm…and they sincerely meant it. This relatively young Berkeley Professor of physics, although immersed among Nobel Laureates who were some of the world’s most eminent theoretical scientists, reputedly had the quickest mind of them all. I recall listening to the venerable physics laureate, Hans Bethe, recount, after working under Oppenheimer at Los Alamos, that he had never met anyone quite so quick-of-mind, so able to quickly assimilate complex ideas and information as Oppenheimer. Most who were there agreed that he was deeply involved in the scientific and engineering work that was conducted during the four year effort, much of it at a detailed technical level, both as overseer and contributor. One with the Necessary Authority and/or Capability. Despite the relative complexity of the ACA website, it is not rocket science, and it certainly is not nuclear weapons technology as was the Manhattan Project. Neither did it require such a rare duo such as General Groves and Robert Oppenheimer to insure a successful, timely result. What it did require was a software development guru/manager who, like Oppenheimer in the world of physics, had been there before and understood the work at eye-level – one with a complete understanding of how to manage individual contractors while melding their contributions seamlessly into a working site. An effective coordinator must possess the widespread authority necessary to make large and inter-related program decisions, largely free from bureaucratic gridlock. The list of qualified candidates almost assuredly could not have included anyone in the Washington ranks. When Groves had a technical question or issue, he went to Oppenheimer. Oppenheimer rarely had to go hunting for the answer among the Nobel Laureates; he knew who was doing what, he understood the details, and he could articulately explain it all to a technical layperson like Groves who then effectively interfaced with Washington. Find A Horse Who Can Cover the Ground! Someone like Oppenheimer is a rare breed, like the great race-horse Secretariat, so I cite him as the quintessential, extreme example of how the right person in management can directly induce success, even in an undertaking of enormous proportions like the Manhattan Project. Surely someone with solid personal credentials and a proven track-record in website development could have been separately contracted by the administration to be their independent point-person and chartered to coordinate the various vendors who each claim to have produced modules which work just fine …therefore the problem is someone else’s responsibility! A person with the required competence imbued with the necessary authority to make decisions could have assumed total responsibility and prevented many of the mistakes which now appear evident. Embarrassing, and not acceptable at any level! Washington should have known better than to depend on its bureaucrats to indirectly “manage” a project of this complexity! The message to them? Review the history of successes like the Manhattan Project and NASA’s space program, and re-learn how to manage government programs. It is not nuclear physics or even rocket science! It is actually just common-sense. 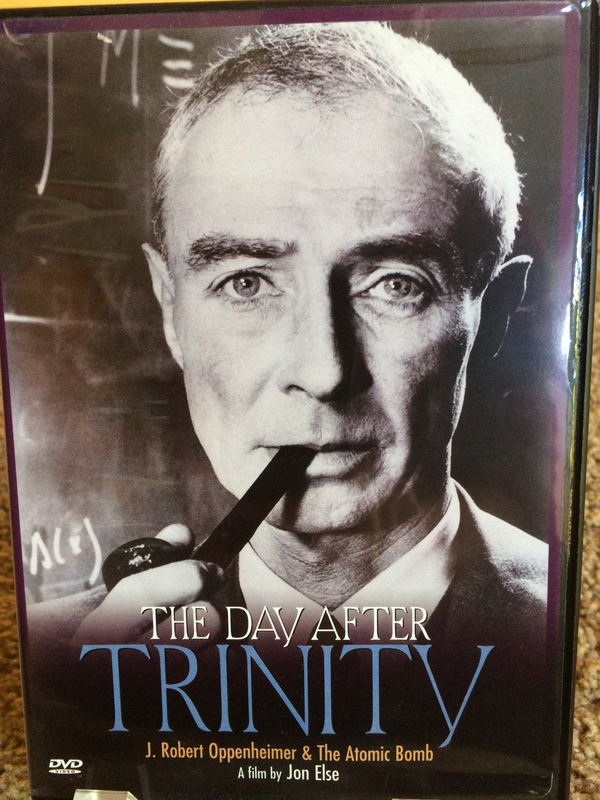 Postscript: I highly recommend the following DVD documentary on Robert Oppenheimer and the Manhattan Project, The Day After Trinity. It presents the history of the Manhattan Project, one of mankind’s most remarkable and controversial achievements, while spotlighting the fascinating persona of the main protagonist, Robert Oppenheimer. My sole personal motive for citing this documentary, here, is to share with you my opinion that it is the most interesting and thought-provoking story in my extensive documentary collection. Those who relate the story in the film were participants – there when it all happened.